This real estate agent wanted to build her own brand. 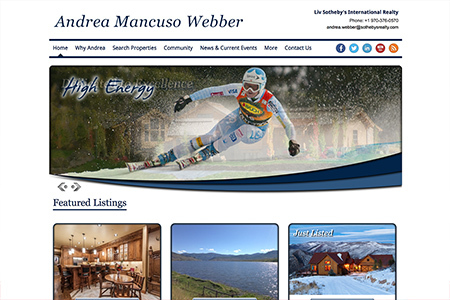 We designed a website that allows her to display personal endeavors in conjunction with real estate listings. This website puts everything in one, easy to find location by linking to the MLS and displaying industry news, personal updates and information about the realtor’s other businesses.